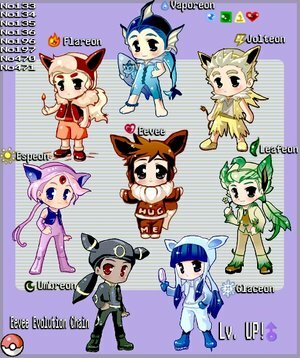 EEVEE KIDS. . Wallpaper and background images in the Eevee Evolutions Clan club tagged: eevee evolutions umbreon leafeon jolteon glaceon vaporeon pokemon espeon. This Eevee Evolutions Clan photo contains 애니메이션, 만화, and 만화책.